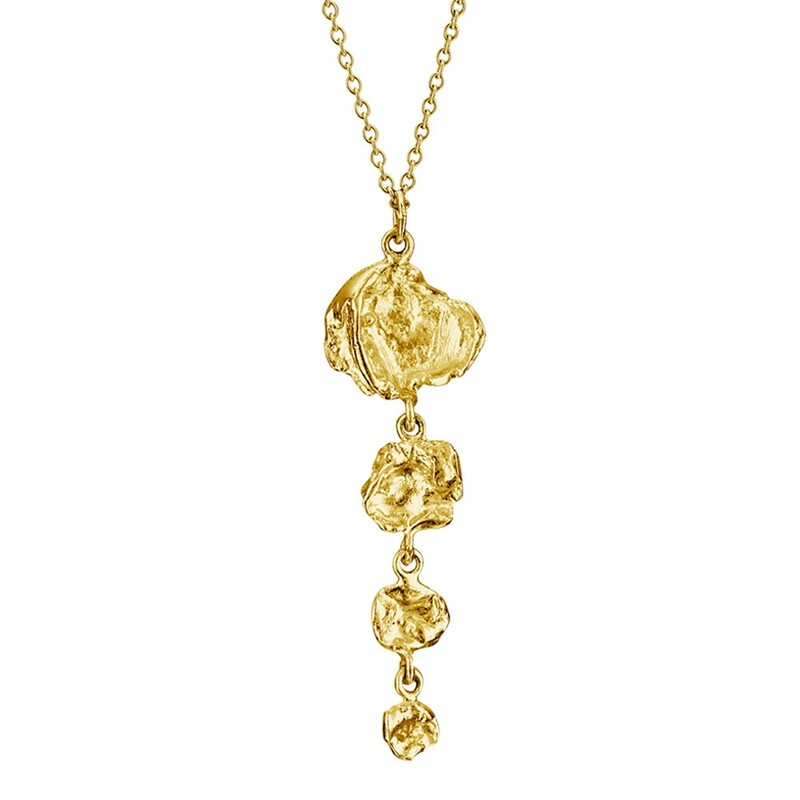 Cornish seawater cast four drop 18ct yellow gold vermeil handmade necklace. 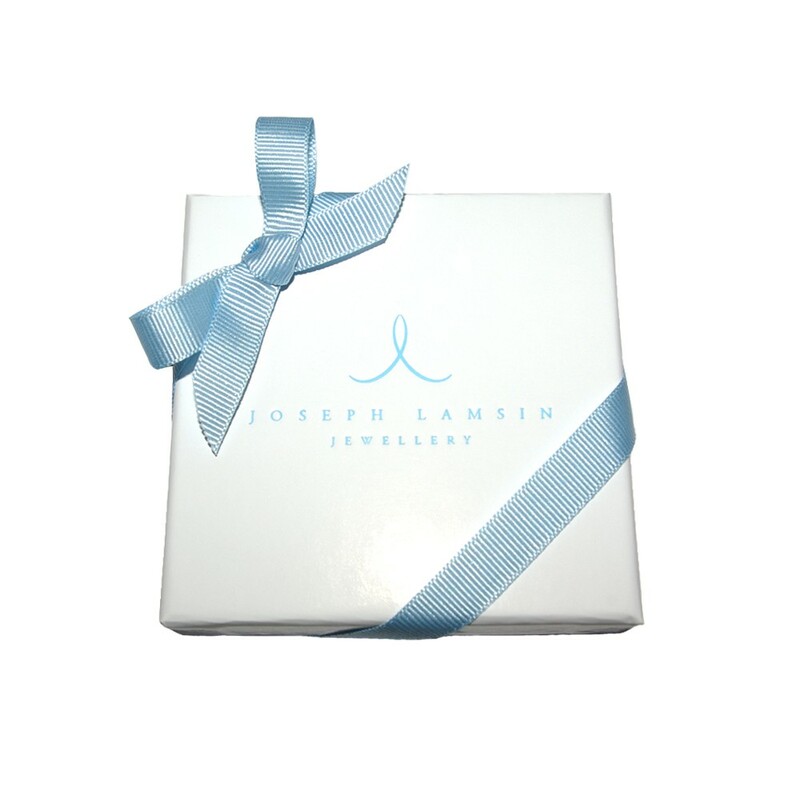 Ceated in Cornwall UK by designer Joseph Lamsin Jewellery; made using the sea to organically shape and texture the unique and contemporary design. 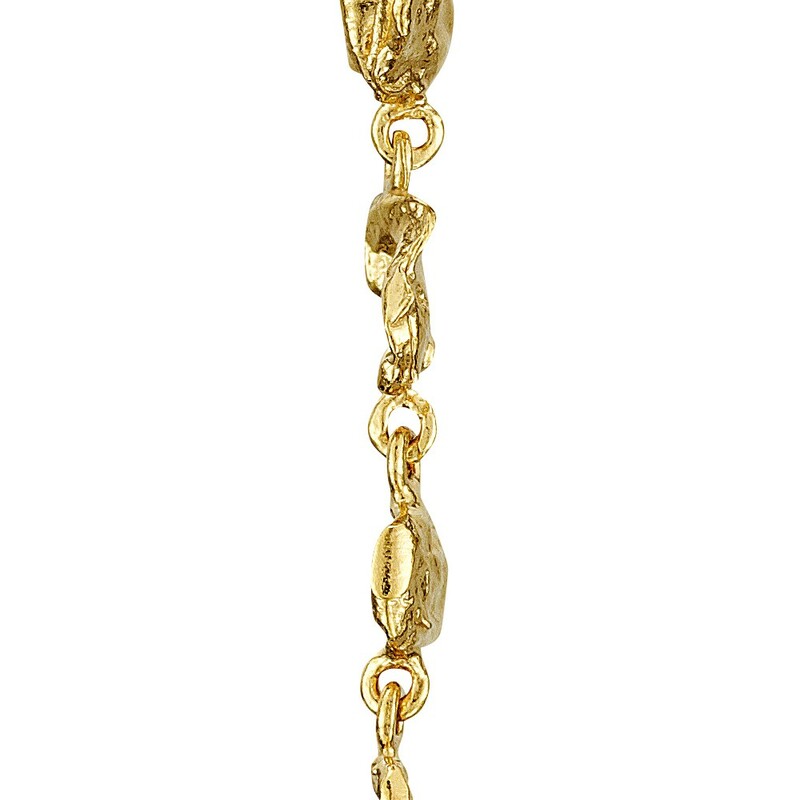 Handcrafted in solid sterling silver and 18ct yellow gold plated with a polished finish, creating a beautiful sparkle from the undulating surfaces. 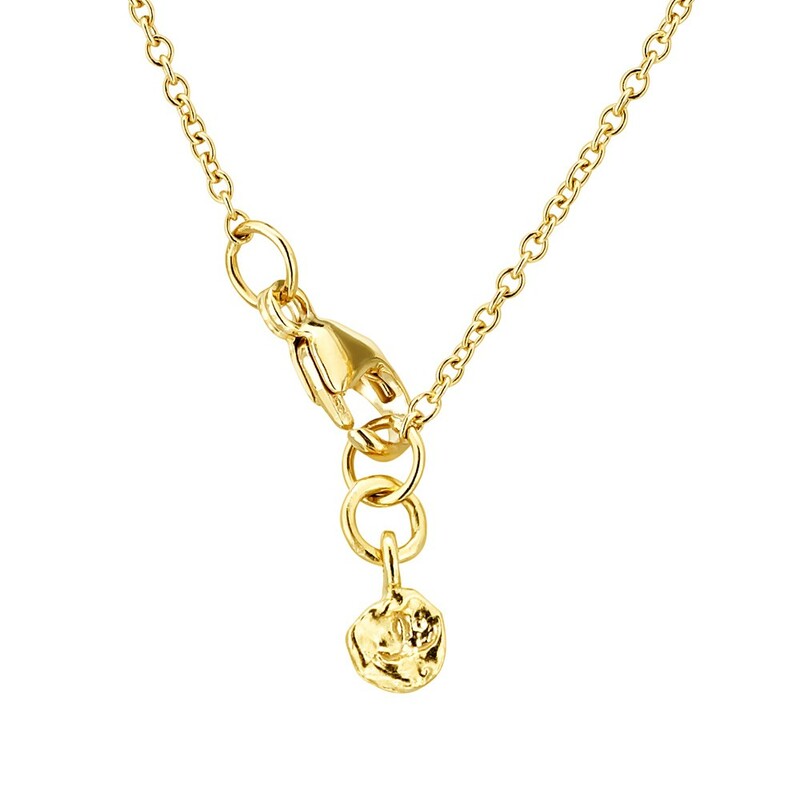 The pendant measures 40mm top to bottom, and is 13mm at the widest section and comes on an adjustable length chain which can be worn at either 16 or 18 inches (40 or 45 cm), fully hallmarked. Beautifully gift boxed with hand tied ribbon, including a descriptive card about the unusual creation process. Free UK delivery and international delivery. 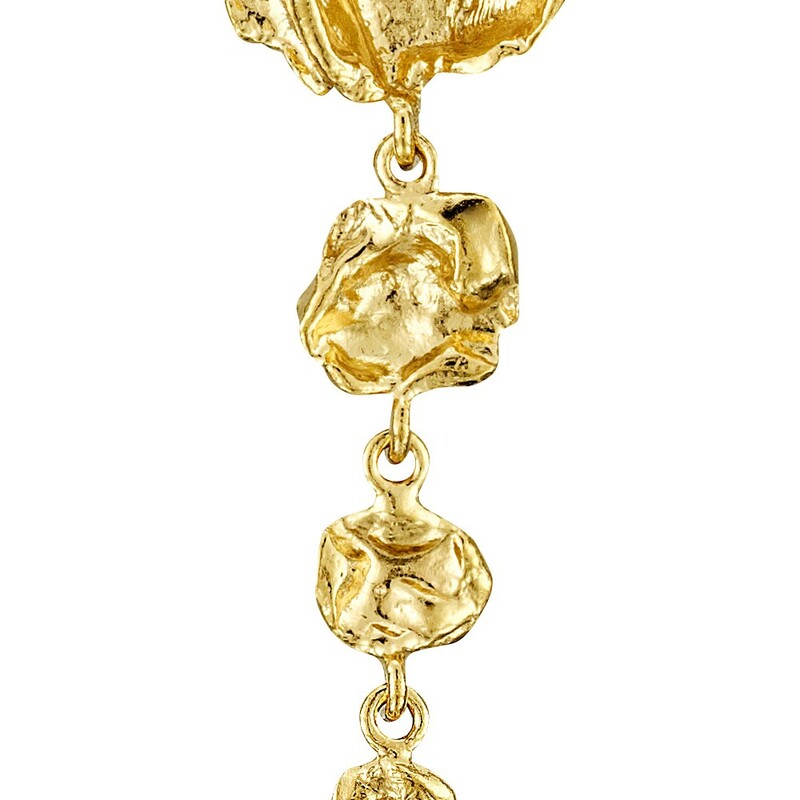 This designer necklace are from the 'Newlyn' collection inspired by and named after the fishing village of Newlyn in Cornwall, where JL's founder Matthew Harris grew up and the workshop is situated today. The coastal environment plus the lifestyle it brings has formed Matthew's approach to jewellery design, and items from the 'Newlyn' collection reflect the sea's continual transformation on the Cornish coastline around him. This UK handmade necklace has been created by Matthew in his workshop in Newlyn Cornwall, using seawater to determine the appearance. Matthew has melted sterling silver and then poured the molten metal into a bucket of seawater, shaping and texturing the metal as it solidifies. This process has been repeated many times, until Matthew has got the desired shape for the necklace design. A mould is then made of this shape so the designer necklace can be re-produced, and handmade to the highest standard in the UK. FREE UK Next Day Delivery - Orders placed before 1pm Monday to Friday are guaranteed next working day delivery by 1pm, a signature will be required for security. FREE International Fast Delivery - Orders placed before 1pm Monday to Friday will be despatched the same day, please allow up to 5 working days for your order to be delivered. All payments must be received and authorised before shipment. If you are not completely happy with your order, you can return it up to 30 days from the date of delivery. Items must be sent back in their original, unworn condition. Once the item or items have been returned a refund or exchange will be processed within 2 working days. For hygiene reasons, earrings must be returned in their original sealed clear bag with the seal still in tact.